Chicago, Saturday Evening, Oct 1- "Crazy Hat Party!" 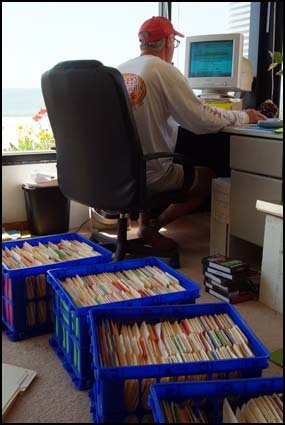 ...working like crazy to get through all the materials in time for Chicago. Speaking of "crazy" let's have a "Crazy Hat Party" on Saturday, October 1! I've hosted these many times in the past and they are a real hoot. Bring or make the craziest hat you can think of and wear it on Saturday evening. Prizes will be awarded to the most original. Palmer House Hilton Hotel: The toll free number is 1-877-865-5321-- ask for the Senior Bachelor Rate. I hope you will grant me a few moments to tie in all these random thoughts about the past half year helping Richard and you with the Search and Journey. It all started yesterday when I saw him sitting in front of his television reviewing the videos you have all worked so hard to make. I know a little of what you have gone through and what he is going through now. I've shared with you previously on the Blog and Nancy recounted at the Manhattan Beach Event that I met her via a video dating service in the late 1980's. What led me to using the service was a three week trip, by myself, on my bicycle, in France at exactly this time of year in 1988. I was camping in a field on Corsica and I was awakened by the full moon on a crisp September night. I was thinking at the tender age of 35 that I wanted to find my soulmate and start a family, and, when I got back to Manhattan Beach, I better do something about it. So I joined the video dating service. The internet wasn't really used for such things then so all of us "members" had to fill out a profile, insert a recent photo and make a video. I know how difficult the whole process was in taping the video and, even more so, writing the profile. But, just as many of you have mentioned in emails and on the blog, it really helped me focus on who I was, what was important to me and what I was looking for. The bio form was not on a computer and I remember writing it, tearing it up, writing it again, tearing it up so many times. And then the whole "search" process started. 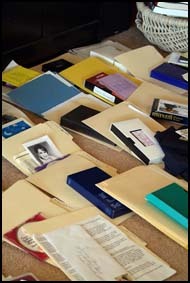 They had arranged all the women's biographies with photos attached in three ring binders in alphabetical order. Where to start? Being a linear kind of guy, I started at "A". When you found someone promising, you would find their video number on the profile, trot off to the video viewing room, find the tape, find a VCR, rewind the tape and watch their video. Then, if you were interested in the Lady, you marked her member number on a sheet and when she came into the office, she would receive a sheet with the member numbers of all the men who were interested in meeting her. Then she went through the whole process to find your bio and tape, etc. What a process! So, I feel for Richard as he is being very diligent in reading bios and viewing your videos. That's the "integrity" part. He set out to find his perfect traveling companion, asked you to make a video and write a bio and, even though he received many more than he anticipated, he is viewing them all very carefully. Now back to my video dating experience and "deja vu all over again." I started with the "A"s and made it through the "D"s. Then I went to the "Z"s and moved backwards through the alphabet. Tried that for a few weeks and was becoming exasperated as I had not met the right woman (Nancy claims I scared them off because I included photos with my profile of my solo bike trip to Europe. Those spandex biking shorts are a privilege, not a right!) I had negotiated for a six month membership and time was running out. So on a whim on one of my last days, I went to the middle of the alphabet. The rest, as they say, is history. I'm the luckiest man in the world having found Nancy. What attracted me to Nancy was her great bio. You have seen how that gal can write. Now, ready for some deja vu big time. ("Twilight Zone" theme music fades in...) Here is part of what she wrote under the heading "Who I am:" "Equal parts Grace Kelley, June Cleaver and Jessica Rabbit." So here I am 15 years later helping a good friend (and, hopefully you) find a soulmate. I'm paying forward. The overall lesson I have learned in my life, and what many of you have said about the Senior Bachelor endeavor, is nothing happens unless you break out and take the first steps. No one can take them for you. It takes so much "coeur"-age. Something inside you has to stir to get out and make things happen. It appears for so many of you wonderful Ladies that the Senior Bachelor has stirred things up inside of you. And you are taking those steps by making that video, by writing your bio, by going to Manhattan Beach and Chicago, by following along, by encouraging your new friends, by writing to Richard and sharing yourselves on the blog. And, whatever the outcome, we, your families, your friends and, in fact, the world are better for it. Thanks. Joe. It's a go for Chicago- First Official "Senior Bachelor Cruise!" 2. If you get his voice mail, leave him the best telephone number to have him call you back. Repeat you telephone number slowly. It may take him about an hour to call you back. 3. There is going to be a cutoff for reservations on Thursday, September 29 so please, call early and get your reservation. Once you make your reservation, your name will be put on the Senior Bachelor Cruise list. The Odyssey folks will give me the list and all the tickets for the Cruise and dinner. On Friday evening, I'll meet you at a special reception table at the ship and give you your ticket there. 4. For more information about the Odyssey and the Lake Cruise, click here. We are going to get our own deck and our own jazz combo for music and dancing. The Navy Pier looks like a lot of fun. If we finish our meetings on time on Friday afternoon (6PM), let's try to get to the Pier early to have some fun before we board. Personally, I want to see Richard and all you Ladies on the carousel! For more information about the Navy Pier, click here. The Palmer House Hotel Concierge tells me the Navy Pier is about an $8 taxi ride from the hotel and you can share a cab with no extra expense. It looks like the Navy Pier has a live webcam so maybe we can meet there and wave to everyone! Here is the phone number for the Palmer House Hilton. The toll free number is 1-877-865-5321-- ask for the Senior Bachelor Rate. Chicago Fun!! Need your feedback ASAP. Joe here. 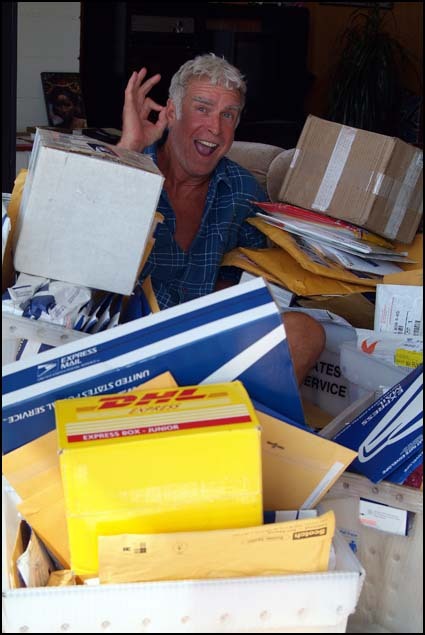 Richard is reviewing your materials. Do we have some procrastinators among you!!?? So great to hear about such terrific memories from the Palmer House Hilton Hotel! Looks like we picked the right spot. All I can say right now, Ladies, is keep Thursday, Friday and Saturday evenings open for some terrific fun. And rest up because you are going to need it! We talked about the Chicago River Cruise. Well, this can be the actual first "Senior Bachelor Cruise!" 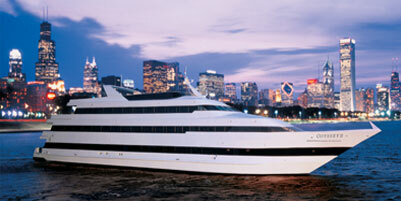 Here is what I have been able to work out for the Chicago River Dinner Cruise for Friday evening, September 30. Check out this boat- it's called the Odyssey! "Odyssey is the perfect venue for an unforgettable special occasion! Enjoy a three-hour escape to the elegant entertainment experience that only a true luxury vessel can provide. Dine on creative appetizers, sumptuous entrees and delicious desserts prepared fresh onboard daily. Add an award winning wine from our comprehensive wine list. Dance to live music...or simply watch the unmatched skyline views drift past your table. Board: 7:00pm (from the Navy Pier) Cruise: 8:00pm - 11:00pm. Your ticket price includes your cruise, the view, your dining experience and our entertainment. Coffee, tea and iced tea are complimentary. Beer, wine and liquor may be purchased separately from your service team.$87.00 per person (Price does not include taxes, fees, and an 18% prepaid service charge)." They will give us our own deck with a live jazz trio. Their regular price including all taxes, fees, gratuity, etc. is $115.71. They are willing to offer the Senior Bachelor group a TOTAL price of $80.00 which includes everything- tax, fees, and gratuity. That's a savings of 30% or $35.00. This sounds like a really fun time at a terrific price. The Head Concierge at the Palmer House Hotel highly recommeded it. Dinner alone at almost any restaurant in Chicago could almost cost that much. Get more information at http://www.odyssey.com/. Now, for budgeting purposes, Thursday evening will most likely be dinner together with separate checks near the hotel with some free entertainment back at the hotel that evening. For Saturday evening, it might be a buffet dinner and no-host cocktail party with fun (free) events planned in our ballroom. Please let us know what you think about the Cruise idea right away. Normally, with large groups they want the group leader to sign a contract and collect the money from individuals, etc. We really don't have the ability to do this so they have agreed to let you call a special number and use your credit card to pay for the cruise and dinner. I am 99% sure the hotel will be the Palmer House, a fine Hilton Hotel in a terrific location. I have to wait for the final approval by the General Manager, so that's why I have not put it out yet in a Newsletter. The price will be $159, single or double. If you check the rates at this time of the year for Chicago, this is a great rate for a good hotel. In this world of full disclosure, I do not get any commission, which was the same situation with the Ayres Hotel in Manhattan Beach. This accounts for the great price. If you would like a roommate, this is the place to let others know. There are a total of 100 rooms available at that price starting Thursday, September 29, Friday the 30th, Saturday October 1, and Sunday October 2. After the 100 rooms go, it is whatever the going rate would ordinarily be, as the Hotel would only guarantee 100 rooms at that rate. Many women stayed extra days to enjoy Manhattan Beach, and you may want to do the same in Chicago. These 100 rooms will be first come, but you cannot call until they give me the final word and the promotional password, which I'll pass right along on the blog and a Newsletter, probably tomorrow afternoon. So get ready for lots of fun!!! Richard Roe P.S. For arrivals on Thursday, we can all find a fun place to go out to dinner and then back to the hotel to chat. We will also have extra time starting at breakfast Friday morning at 7 o'clock. I will also stay for Sunday breakfast and meetings up until noon Sunday. Hope you can make it! !